This was an unexpected hauling day. Not much of a haul if you read further, but I've been hauling other products as well. 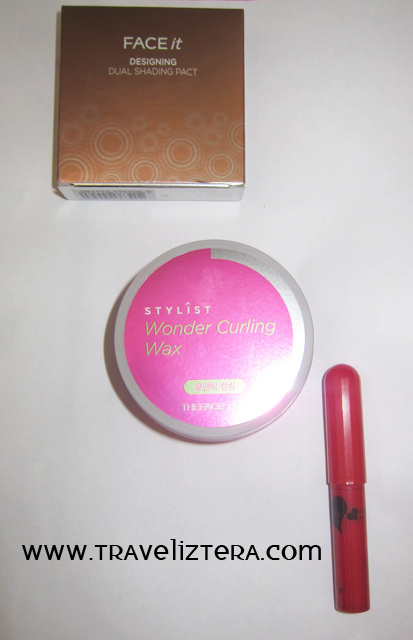 However, for this post, I am focusing on the products I bought from THE FACE SHOP, which include a tinted lip balm, a contouring powder, and a curling hair wax. THE FACE SHOP used to be my frequent "go-to" for some of my cosmetic needs when I was still in the Philippines, but ever since I moved here in Sydney, I started trying other products. However, I still visit now and then to check out some of their new products, as I still have some of my hauled THE FACE SHOP cosmetics from the Philippines. Anyway, I decided to visit once again, and found some essentials. - What I love about this particular shade is that it enhances my lips' natural colour. Also, I love how it keeps my lips soft and moisturized. - I haven't tried this yet, and will try to make a review of this product. I have been eyeing MAC's Pro Sculpting Cream , but the shade I want is always out of stock. For the mean time, I will check how this product goes, and will let you know if it is a good alternative. 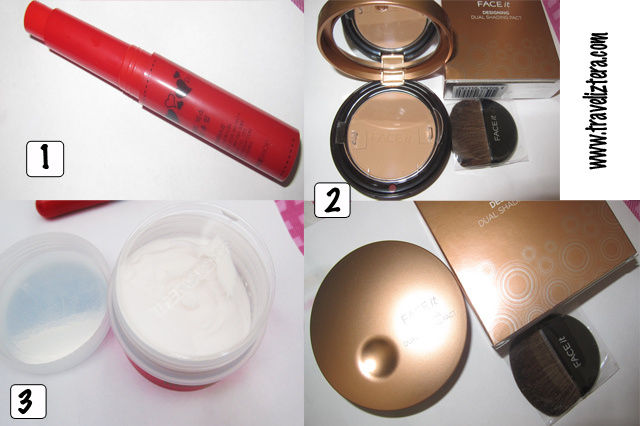 Instructions on the package by THE FACE SHOP: "Use the inserted brush to gradate dark brown color around the hair line and beige brown color around the chin and cheekbones. Depending on the skin tone, blend the two colors to create the appropriate shade. Spread the powder remaining on the brush from the bottom of the ear lobes to the neckline to prevent border lines." So what products do you usually buy from THE FACE SHOP ? Thanks for checking my site out and following! =) Will check you out! Never heard of the face shop before. Sounds cool.